The future Charles II wasn’t the only member of his family who had to hurriedly flee England during the Civil War between monarchy and parliament that tore the country apart. His baby sister Henrietta, who was born on 16th June 1644 in Exeter while her mother Henrietta Maria was on the run, had to escape as well. Just like her brother’s, her escape was an amazing tale too. Shortly after giving birth, Henrietta Maria was forced to embark on a ship to France, where she would spend her many years in exile. She must have been distraught at having to leave her baby daughter behind. But she knew Henrietta would be in good hands. The exiled Queen had entrusted her infant to the loving care of one of her most loyal supporters, Lady Dalkeith. The faithful lady promised the Queen she would never leave the princess until she could be reunited with her parents. 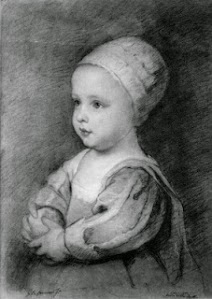 Princess Henrietta spent the first two years in Exeter. But in 1646, Sir John Berkeley was left with no choice but to surrender the city to Parliament. The princess was then moved to Oatlands, a royal residence. The royal toddler was promised an allowance that never arrived, forcing her royal governess, Lady Dalkeith, to use her funds to support her and her household. She wrote many letters to Parliament, stressing their financial problems. In the end, to cut costs, Parliament decided to send Henrietta to St James Place to be raised with her older siblings, Henry and Elizabeth. Lady Dalkeith was to be dismissed. But Lady Dalkeith had no intention to break her promise to the Queen. Escape was thus the only option. So, on the night of the 24th July 1646, she disguised herself as a beggar woman (she even stuffed a roll of fabric beneath her dress to create a fake hunched back!) and the princess as a beggar boy. Thomas Lambert, a faithful valet, was to act as the boy’s father. The last member of the small party was Elinor Dyke, a maid whose job was probably to help take care of Henrietta. After placing the toddler on her shoulders, Lady Dalkeith set out on foot with her companions. They walked all the way to Dover, a distance of 95 miles that would have taken them more than a day to complete, and that without counting any stops that may have been necessary. It was a very tiring, awful journey, made worse by Henrietta’ eagerness to let everyone they met know that she wasn’t a boy but a princess. The party must have been terrified of being recognized and betrayed to Parliament. Still, Lady Dalkeith had taken her precautions. She had left a letter at Oatlands asking for help, and it was duly given. Parliament would be informed of the Princess’ escape only three days later, when she was well away. From Dover, the party travelled to Calais. 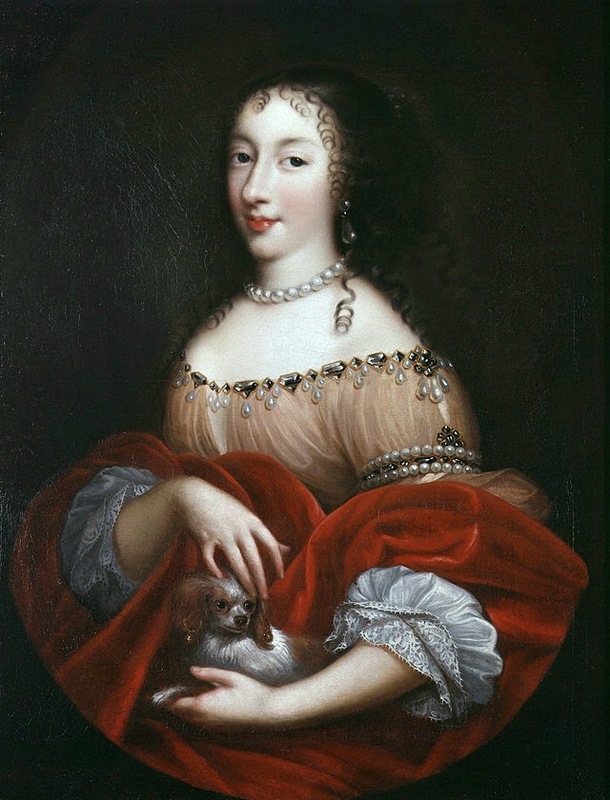 As soon as they set foot in France, Lady Dalkeith wrote to Henrietta Maria letting them know of their arrival. The exiled Queen sent them a carriage straight away. They were all happy to finally reach Paris. The journey had taken their toll on all of them, but especially on Lady Dalkeith. Apparently, as soon as she handed the toddler to her mother, she fainted. She would spend the next few weeks in bed, seriously ill. The Queen was ecstatic to be finally reunited with her daughter and lavished kisses and embraces upon her. They would finally returne to England years later, when Charles II became King.